The Zinn tradition began in 1944 when Orman Zinn began making wooden toys for the children of his gasoline route. When an aunt wanted something to cover the plumbing in her kitchen, Orman made a cabinet in the upstairs workshop in the Zinn family home. He loaded the finished cabinet on the side of the gasoline truck, delivered it, and thus Zinn Kitchens began. From a one room, one man operation that started as a hobby in the family home, Zinn Kitchens has now grown into a 27,000 square foot facility in the original location in Flora, Indiana. Zinn custom cabinets are found in homes of all price ranges. Though perceived to be high-priced because of our reputation for high quality, we are able to keep our prices down due to the fact that we use neither dealers nor distributors. 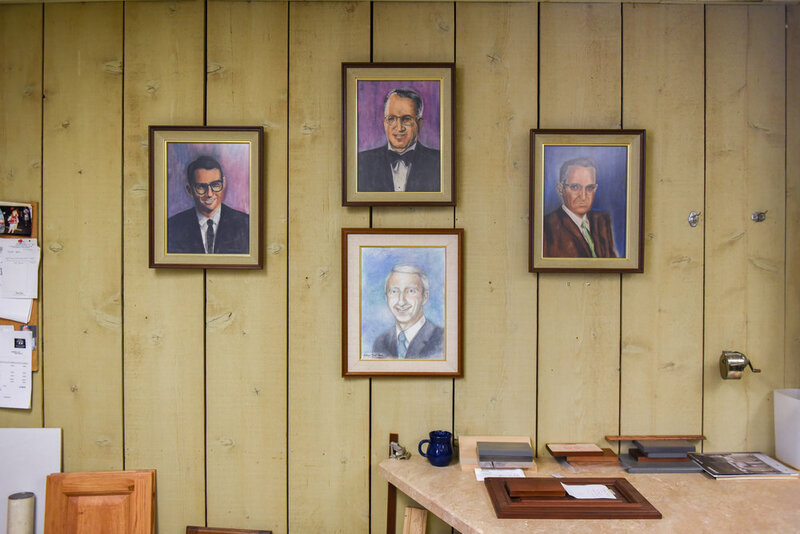 Today, three generations of the Zinn family supervise the work of skilled craftsmen and designer/sales people. From the original 40 mile radius delivery, Zinn cabinets can now be found in several neighboring states. As stockholders, we shall strive to be humble in success, courageous in adversity, and live as to set charitable and favorable examples to our community. Our success will be commensurate with our performance of these things. "Sow and ye shall reap"